Ron and Maggie Tear Photography: Kirks Red Colobus. 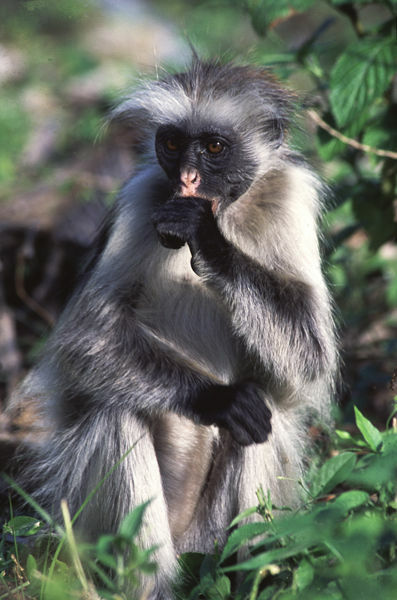 These endangered monkeys found only on Zanzibar are very attractive. Their red coats make instantly recognisable. This individual eating some foliage. Jazani Forest, Zanzibar, Tanzania, Africa.